knights of labor | Drum It Up! Our pioneers in barrel cooperatives, Chauncy W. Curtis and Francis L. Bachelder, were both drawn to the concept of cooperative production to support their families. Cooperatives offered a level of stability that couldn’t be matched by regular factory employment. After previous failures, they needed this cooperative to work—for their families, their field and the future of the cooperative ideal. Their new shop, the Cooperative Barrel Manufacturing Company, was modest, but threatening enough to attract hostility from the competition. Larger shops attempted to push millers away from using the cooperative, but the millers didn’t see the small worker-owned business as a threat to capitalist order or their success as an individual mill. 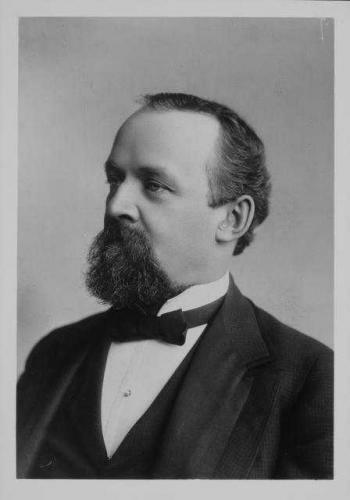 As many liberal reformers praised the virtues of cooperatives, one of Minneapolis’ leading new millers, Charles A. Pillsbury, entrusted the Cooperative Barrel Manufacturing Company with the supply of an entire mill. The cooperative flourished, outgrowing its original location and membership, surviving the economic depression of the 1870s, and making the dream of cooperative work a functioning reality. From 1877 to 1886, ten new cooperative barrel factories opened, one, The North Star Barrel Manufacturing Company, was spearheaded by the already successful Bachelder and later joined by Curtis. By 1886, cooperatives dominated the city’s barrel industry, they proved to reformers that cooperative industries were a viable alternative to the competitive capitalist system. All cooperatives weren’t anti-competition, some emphasized the greater good of their community while others focused on the success of their firm as an individual. Regardless of their ideas of success, all Minneapolis cooperators seemed to agree on one thing: democracy. Rules that governed daily operations and behavior were democratically voted on and aimed to ensure equity and fairness across the board. 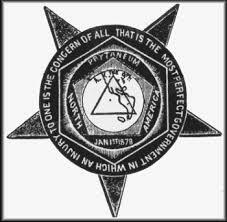 Cooperators could not rent out their space or profit from the labor of others, the power of the foreman was severely limited and inspectors had to present a thorough case and convince two-thirds of membership if he felt a cooper should be fired for inferior workmanship. The barrel cooperatives had created a booming business, a democracy and an entire community built around their shops and homes. They had parades and festivals, they opened cooperative merchant stores, and optimism ran high among laborers everywhere. If you missed part one of the Minnesota barrel cooperative story, read it here. In the late 1800’s, one of the most important figures in the quest for better labor laws was a barrel maker, or cooper. His name was Chauncy W. Curtis and he’d helped coopers in their earliest attempts at unionism, served as president of the Workingmen’s Union, a political labor-reform, association, and was now splitting his focus on two efforts: first, the organization of the state’s assemblies of the Knights of Labor, a national association dedicated to organizing workers in all trades, and second, the establishment of worker-owned & operated stores and factories, or cooperatives. Post-civil war industries and trades were so competitive that the system labors worked under was essentially industrial slavery. Cooperation was the strongest alternative to the current system. Cooperatives promoted equality and gave skilled workers equity in their own work. Chauncy W. Curtis himself had already established a number of cooperative factories and stories, but barrel cooperatives were constantly struck with the challenges of tumultuous prices, potential mechanization and fierce inter-industry competition with other organized barrel workers. It wasn’t until the first flour mills took root in Minneapolis created a consistent need for thousands of barrels that the coopers of the region were able to leverage their skill for more attractive work conditions. The cooper industry boomed, more coopers flocked to the area and they almost imploded their own field. So, Chauncy Curtis and a handful of other coopers established Minneapolis’ first two cooperative shops, to protect their union’s right to fair pay. These cooperatives were pioneering, but destined for failure. Both were informal, unincorporated and transitory. Neither had laws to protect themselves from defecting cooperators. And thus, the first shop barely lasted a few months and the second enjoyed success for two years until one member took control of the contracts and struck out on his own. However, without these failures, the industry’s leaders wouldn’t have learned and grown. Curtis and Francis L. Bachelder, a cooper who witnessed the disintegration of the second shop first hand, and three other coopers incorporated a new barrel cooperative. It was 1874. For this new shop they composed a set of by-laws to protect themselves from their previous mistakes. These by-laws became the foundation of every subsequent cooperative barrel factory in Minneapolis.